As the Good Shepherd, our Lord and Savior Jesus Christ willingly laid down His life for the sake of His sheep (John 10:11). All of history revolves around this event, so we must strive to understand its significance. 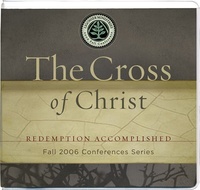 In this collections from the 2006 fall conference series, R.C. Sproul, Ligon Duncan, Derek Thomas, and Albert Mohler examine Christ’s work on the cross and remind us that it is the centerpiece of God’s redemption. Beginning with man’s need for atonement, they discuss the identity of those Jesus came to save, look at how He ransoms us from God’s curse, and answer common questions about the meaning of the crucifixion.